You know, I get it. 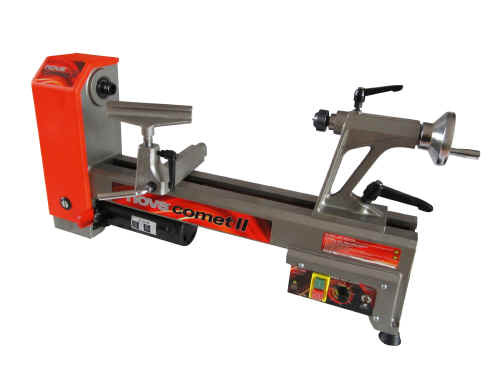 I can see why Marc (The Wood Whisperer) Spagnuolo has a workshop full of Powermatic. I’m sure it is all part of his huge sponsorship deal, and more power to him (pun intended), but he would also want to have the best workshop he can have too. He may not have a SawStop, but the flame-covered tablesaw is pretty cool never-the-less. 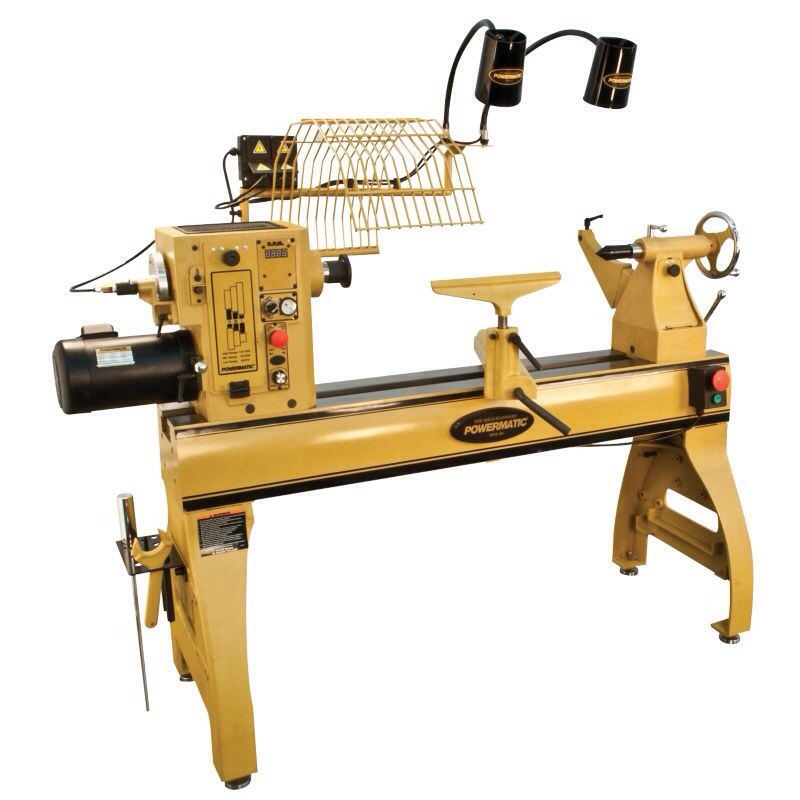 He also doesn’t have a DVR, but I had a closer look at the Powermatic lathe today, and what a beast it is. Not only enough cast iron for a small country, but every (moveable) component glides so smoothly. 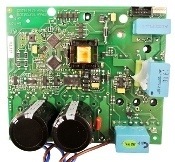 3 phase motor, with its own onboard converter from single phase. Built-in vacuum system for vacuum chucking. 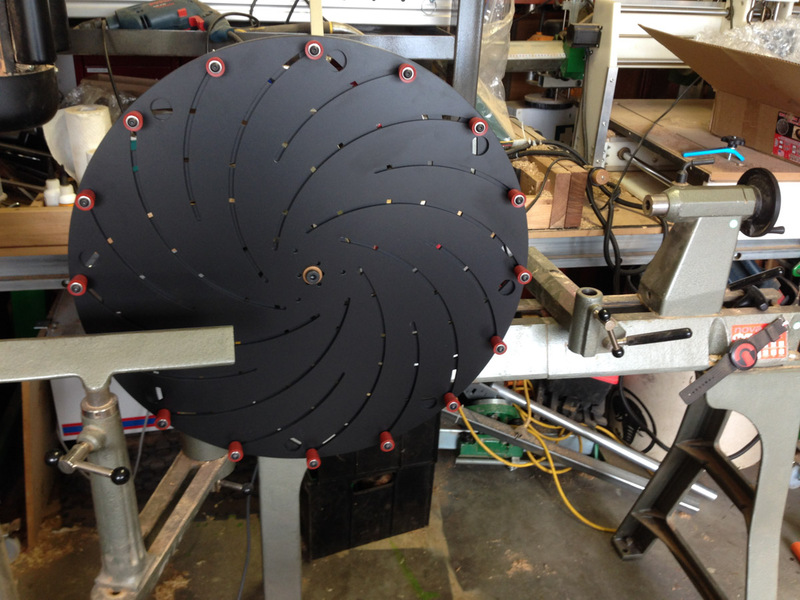 A 96 point indexing system with a heavy-duty indexing disc. What’s not to like (except the price tag)? 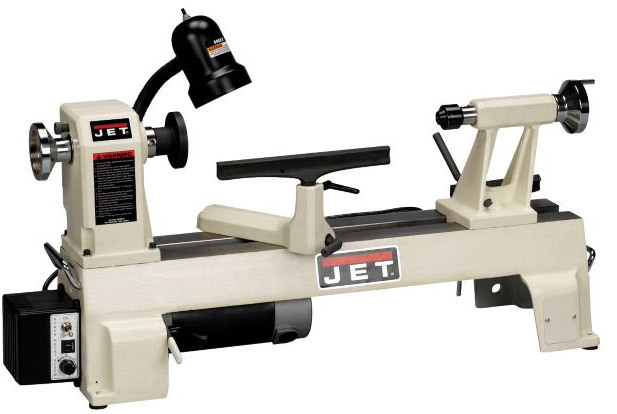 You’d have to be pretty dedicated to really make use of such a machine, but then, it would also handle some pretty significant turnings as well. Had a look at one of their promotional videos, just to see what it looks like in use. Yup, that is a beast! Anyone got one? What do you think? And more importantly, what have you managed to make with one? Polishing can be a real time-consuming process, especially for unusually shaped items (or at least items that are not flat). You can resort to the old elbow grease and a cloth, but many solutions offer a mechanical way to move the cloth against the work. 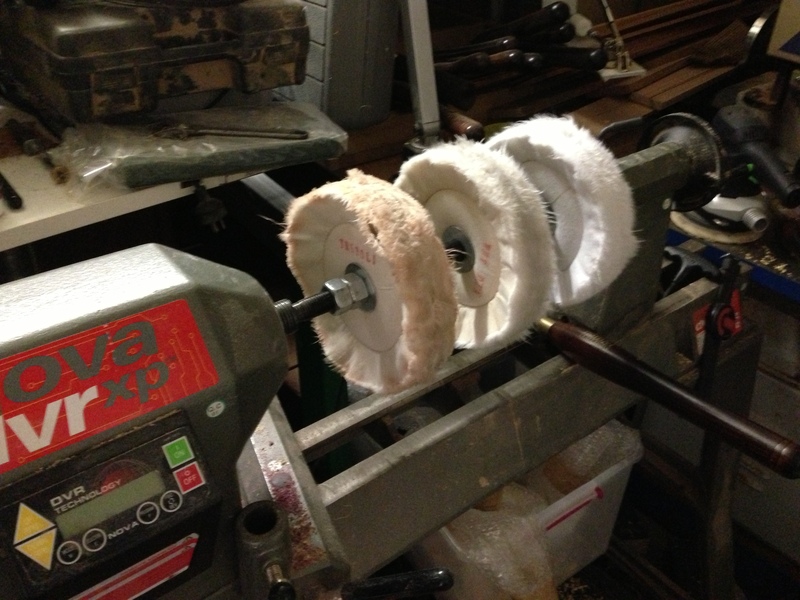 Mounting a swansdown mop in a hand drill certainly works, and allows you to get into all sorts of places, or bring the mop to bear against a piece turning on the lathe. 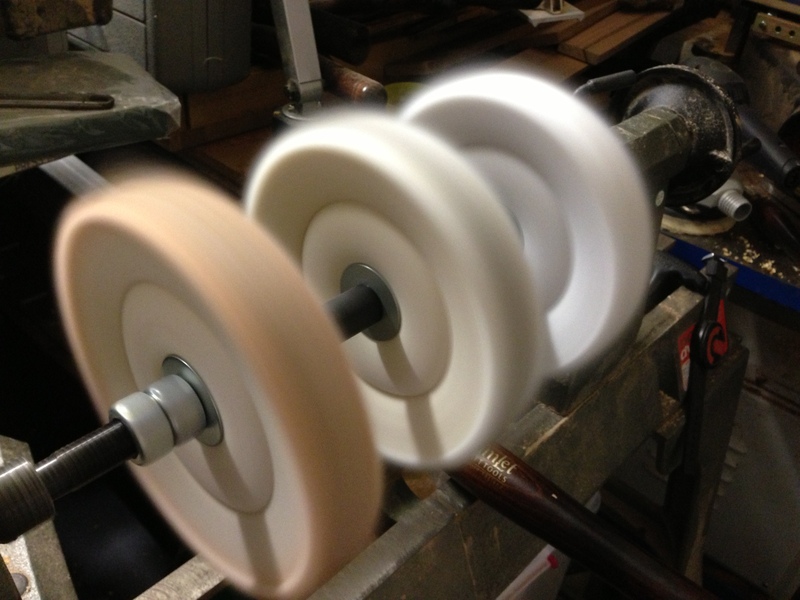 What would be useful, is having a set of cloth wheels, each with a differing amount of softness so as you get softer and softer, and charging the cloth with finer and finer particles you can achieve a superb finish, irrespective of the shape or complexity. And that is what I saw when I visited the Roving Reporter recently. And so I ordered one of my own from McJing Tools, for a whole $80. 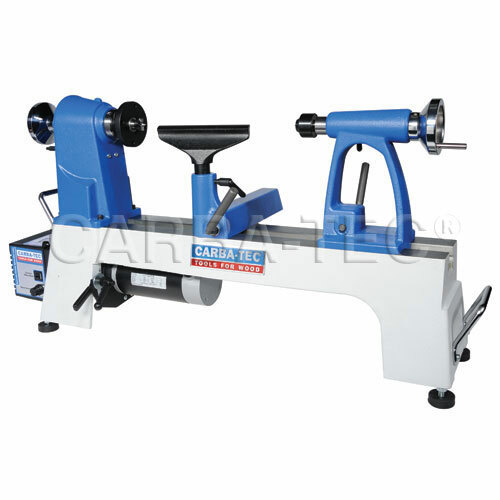 The contraption consists of a bar with a MT2 taper at one end (compatible with most lathes and drill presses), and a dimpled end at the other that can engage with a live centre. 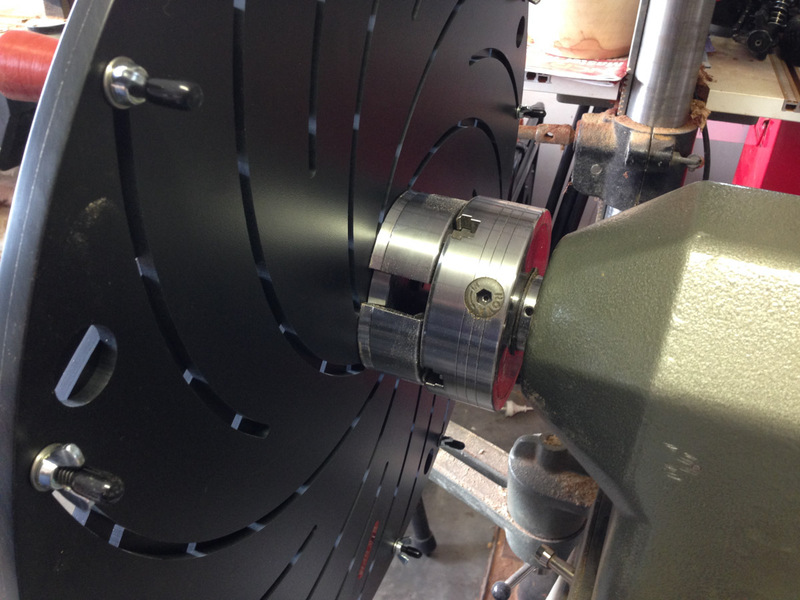 Very easy to mount and remove as required, or left set up if you have a spare old lathe lying around. (No, I don’t mean to say I have a DVR sitting around spare!) When I have the new shed up and running, this will likely be found mounted on a Jet mini lathe I have. 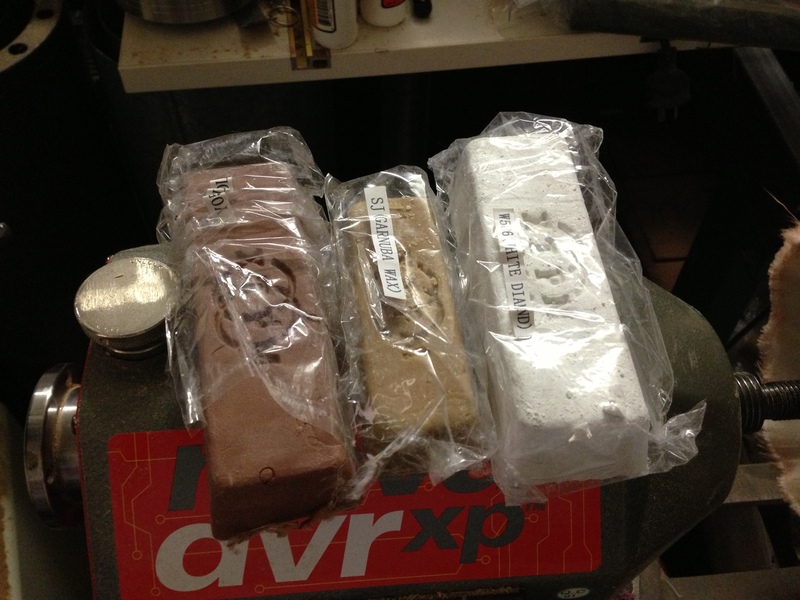 Each wheel is marked for the compound that should be used on it, and from left to right is tripoli, white diamond, and wax. (In the picture below the white diamond and the wax have been swapped). I suspect that white diamond doesn’t contain diamonds, but is a finer grade than tripoli, which makes it pretty fine! There is no speed rating supplied for the wheels, but I”d tend to say anything over about 1000RPM is starting to push it. 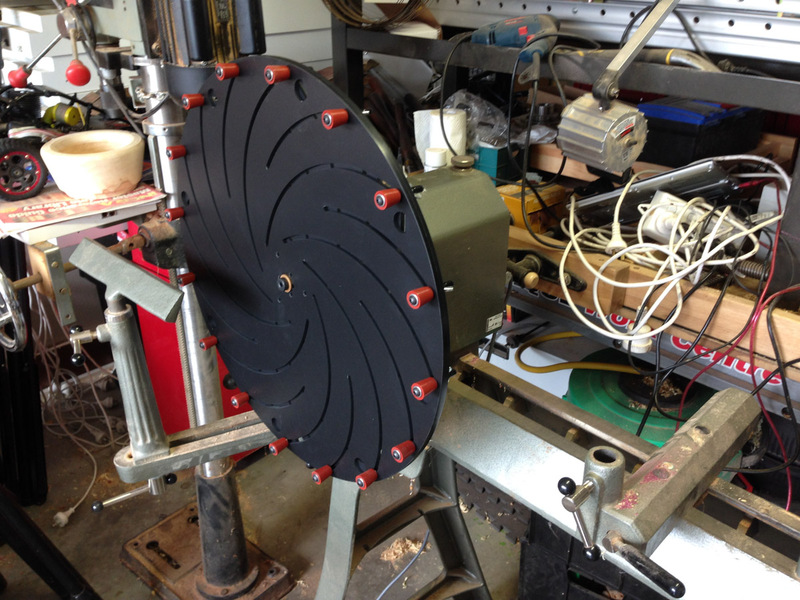 I tested it up to 2000RPM, and although it was fine, I suspect it would significantly shorten the life of the wheels. There is a lock nut on one side (seen in the photo above) to stop the direction of the lathe loosening off the nut. I tried the contraption spinning backwards (reverse on the lathe), and that worked well – might source another nut so I can have a lock nut on either end, so I can go forward or reverse as a please. I didn’t have anything particular to test it on, so I used the underside of one of my scrapers. Now I have a very shiny scraper! Dropped round on Robbo recently, as he has been working gluing up a segmented block to turn into a table leg, and was about to turn it for the first time. An opportunity not to be missed! He didn’t do a great deal on the first day – too many competing priorities, but even so, it’s a pretty good segmented unit! It was also being filmed for the forums, so any comments were directed to that camera.